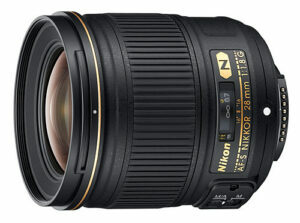 Home » Cameras and Lenses » Which Nikon Prime Lens to Buy First? Buying a DSLR often means having several accessories to go with it, among which are lenses. But choosing your first lens isn’t easy – there are so many choices available at so many different price points, which can make it quite confusing for a beginner to find a lens for a particular need. In this article, I will discuss several budget Nikon fast prime lenses most suitable as a first step into the fixed focal length world. Which Nikon prime should you buy first? Which one would make the most sense? You need a lens to stay on your camera for years to come, you need it to be good for family portraits and some occasional snaps. Or maybe even for your future photography business – who knows? Well, read on as I highlight the strengths of each affordable fast prime Nikon has to offer. I hope this article will help you with this tough choice most of us had to make at one point or another. 1) Why Buy a New Lens? So you bought yourself a brand spanking new DSLR and now you want better pictures. Where do you start? When our images do not turn out good, we usually blame the camera, without even having the patience and time to learn how to use it. Do you find yourself using the camera in Auto mode all the time? If yes, then why don’t you first educate yourself and learn what those other “PASM” modes are for? We have plenty of beginner tutorials on this website and our photography tips for beginners page is a good place to start. So before you start deciding on whether you need a new lens or not, make sure to do some quality reading. After a little while, you will realize what you are missing and you can then begin your quest for purchasing new lenses to complement your DSLR camera. Why would one want to buy a new lens? If you got your DSLR with a kit lens, you might already know that the kit lens is a good all-around lens, but it has some major weaknesses. One of those weaknesses is its maximum aperture. 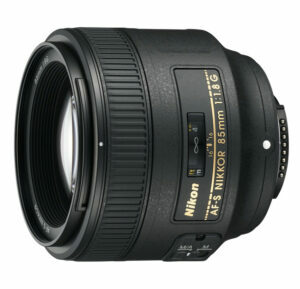 Kit lenses like Nikon 18-55mm f/3.5-5.6 have a variable aperture, which changes as you zoom in to a longer focal length. The bad news is, they start at a pretty small aperture of f/3.5, which can be already too slow for photographing subjects in low light environments. We get plenty of requests from our readers, asking us how they can get better pictures indoors without using flash. Aside from increasing ISO to a high number (which can result in a lot of noise) our answer is typically to get a faster prime lens. Why? Because the difference between a fast prime and a zoom kit lens in terms of shutter speed can be substantial. Think of it this way – if you are taking a picture of your child at 35mm, 1/8 of a second @ f/5.6 using the 18-55mm lens, just by using a lens like Nikon 35mm f/1.8G, you can increase that shutter speed to 1/80 of a second! If this does not make sense to you, read the understanding aperture, shutter speed and ISO articles (and don’t forget to read this article that summarizes them all). Hence, a lens can make a huge difference in such environments. And that’s not even all – there are plenty of other reasons. Read our prime vs zoom lenses article if you want to find out more about the advantages of either lens type. The biggest flexibility DSLR systems give us is the choice of lenses. Some work best in dark environments, others offer versatile zoom range. Certain lenses are valued for their lightness or dependability. Unfortunately, you can’t have it all in a single package – as in life, a compromise is a compromise. For this reason it is often a good idea to have several lenses to choose from depending on the situation. Against expectations, prime lenses never got less popular or less desirable because of their inflexibility. We have some amazing zoom lenses today, some even rival primes in quality, bokeh and sharpness. Even so, you could find a fast fixed focal length lens in any photographer’s bag. There are many of those who strongly prefer them to zooms, like me. Why is it? Well, I believe you trade convenience of a zoom lens to aesthetics of a good, fast prime. Some of them are also very cheap and great as first lenses along your kit zoom. And, with time, zooming with your feet can actually become a preference. It’s only natural that those new to photography world want to try them out so much – it’s something different and exciting. Remember, however, that you should keep your kit zoom if you buy one of these. While it is quite unlikely you will ever want to take your prime off your camera, you might need a wider angle someday. Having a zoom, whichever it is, is often a lifesaving choice. 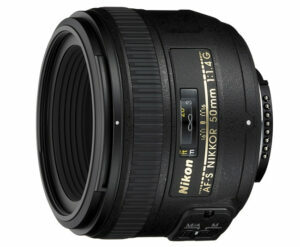 Lets see what Nikon has to offer for those on a lookout for a first, budget prime lens. This little gem is a perfect match for any DX sensor body from D3100 to D300s. Light, cheap, quick to focus and very sharp, it has been in very high demand ever since introduction. And for a good reason, too. The secret lies in its focal length – on a crop-sensor body this lens behaves closely to how a classic 50mm lens would on a film or Full Frame camera, such as the D800. In other words, it is a very flexible focal length that’s quite good for portraits as well as wider shots, such as landscapes, group and family pictures. It is also good indoors, where a wide aperture of f/1.8 helps gather enough light for low-noise images. This lens is a perfect choice for DX users wanting a flexible prime lens good for everyday shooting, especially if you find yourself shooting more indoors than out. Interestingly enough, it works reasonably well on a full-frame camera, too, although it is not supposed to. Only a minor amount of corner shading is present, which can be cropped out without loosing much field of view. If you were ever to step up to full-frame cameras, this lens could stay in your bag for a while until you get yourself a fully compatible alternative. Nasim has a comparison article between AF-S 35mm f/1.8G DX and AF-S 50mm f/1.4G lens, you will find sharpness and other tests there. If you like the lens, you can also order it from B&H for $196.95 – surely a bargain! 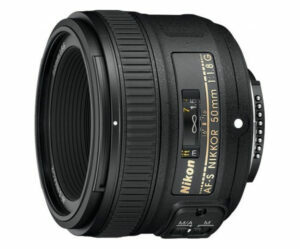 A recent refresh to a very popular, but aging AF-D 50mm f/1.8, this is one of the cheapest lenses Nikon currently sells. As it is in this case, cheap is very far from being bad quality. Quite the contrary – this wonderful little lens has the best price/performance ratio of any current Nikkor. Coupled to a DX body, it makes a nice portraits lens and is especially good outdoors. It also makes a lot of sense if you’re planning to upgrade to Full Frame in the future, as you won’t have to worry about compatibility issues. It works on every modern Nikon DSLR, including entry-level DSLRs like D3200 without a motor. It’s sharp center to corner and has great out of focus regions. Some, even traded their more expensive f/1.4G’s for this lens favoring lower price and faster focus. Unless you really need the aesthetics of f/1.4 aperture, it does make a lot of sense. Build quality is just the same, and the weight is lower. You can read more in this review – you will find lots of information there. If you think this is the right lens for you – and I’m sure you wouldn’t want to take off your camera – you can order it here through B&H, it’s a great deal at just $216.95. If you fancy saving even more, the older generation AF-D 50mm f/1.8 can be found by following this link – it’s a perfectly fine lens with a somewhat harsher, more lively bokeh, but do note that its amazingly fast auto focus will not work with entry-level Nikon cameras. This is the bigger brother of the AF-S 50mm f/1.8G. While the latter is an amazing performer worthy of any professional photographer, the older f/1.4G has one advantage – two thirds of a stop larger aperture. You may think a difference between f/1.8 and f/1.4 isn’t all that big, but for some photographers it’s very much worth the price, even if you consider the fact that this lens is not as sharp wide open as its sibling, nor does it focus as fast. Still, it was the first lens I bought after owning a kit AF-S 18-135mm f/3.5-5.6G DX lens. I never had any regrets even for a second. I used it for both indoors photography, where I felt it was a little too narrow or “long”, as well as tighter portraits. The only thing that limited my photography was me. While I kept my zoom for emergency use or in case I needed a wide-angle to go with my D80 at that time, the 50mm rarely came off my camera, if ever at all. It was great, and it was even better on the D300. But then, as good as it was on any DX body I used it with, the AF-S 50mm f/1.4G is a completely different beast on a Full Frame body. A small, light, sharp beast, it just came alive. Even now, at this very moment, after almost four years of owning this lens, it is mounted on my D700, always ready for work. This is one piece of my gear that hasn’t changed since I got into photography and it’s always with me whenever I bring a camera. I love the aesthetics of the images it produces, the size, the weight and build quality – everything. I’ve learned to live with slow-ish focusing which, in fact, has become an advantage. The only reason it focuses so slowly is because of the long focus throw – the ring rotates almost 180 degrees. This makes manual focus a breeze. It also taught me to be in the right place at the right time – rarely do I miss a shot because of the focus. Mounted on my D700 makes it a killer combination – if I absolutely had to, I could go through a complete wedding with just that camera and this lens. It’s just that versatile. I use it for portraits, food photography and group shots – whatever comes up. It’s wide enough to be used indoors, and long enough not to make me poke my camera into my client’s face. Yes, I would like such exotics as the AF-S 35mm f/1.4G or the AF-S 24mm f/1.4G – thanks to the 50mm, I grew to love environmental portraits very much. I’d likely use the two expensive pro primes at least as much as this cheap 50mm, but I would never go out on a job without this lens either as my main or a backup. If you absolutely need f/1.4 and know how to shoot at that aperture, it’s just that good. Nasim, luckily, reviewed this lens a while ago – in fact, I believe both he and Lola love it as much as I do. Or at least nearly as much :) If you find that this is exactly what you need, you can easily purchase it through B&H. However, you should think really hard whether the advantages of this lens outweigh the advantages offered by the twice cheaper f/1.8G – for most people, they don’t. If you think you could use something a little bit more specialized than the AF-S 35mm f/1.8G DX on a crop-sensor camera or those 50mm lenses, this lens might be exactly what you need. Having a lot to live up to replacing the older AF-D version, this lens seems to be getting some raving opinions throughout the web, and Nasim shares those thoughts – he finds it phenomenal! You can take a look at some image samples in his Nikkor 85mm f/1.8G review. Notice the out-of-focus regions of the images provided – they look exceptionally smooth. This lens, for many, is the more rational choice than even the stellar AF-S 85mm f/1.4G! It is also quite cheap at $499.95, but is not always in stock because of high demand. If you think you need an exceptional portrait lens to go with your kit zoom, grab this one if you find it in stock, it works very well on both DX and Full Frame cameras, just do know it can be a little too long indoors for general photography. In this article, I presented you with several fast budget Nikon prime lenses. All of these lenses are quite different, yet all can be great as all-round solutions. It all depends on what your main subject is, of course. Do you prefer group shots of your friends, or maybe fancy some street photography every now and then? Then 28mm f/1.8G may be the most suitable choice for you. And what if you do mostly portraits? Well, the 85mm f/1.8G is likely to suite you best with it’s flattering compression and soft out of focus regions. Do you find yourself somewhere in the middle? Either a 50mm or 35mm lens can save you here and become your favorite prime lens for the time being. Make your choice based on your subject and you won’t be disappointed by any of these great optics. The first question that comes to my mind is how much different the 50mm 1.4G and 1.8G lenses are. Having owned the 1.4G for quite a while, I must say I am not satisfied with its performance, slowness and lack of sharpness wide open makes it defeating the meaning of its price tag. Have been thinking to replace it with 1.8g but couldn’t dare to do it being afraid of it turning out to be another worst decision. What about the performance of 1.4G stopped down to 1.8? Is it better than 1.8G or equal? Thanks for the review. Thank you, I read your final suggestion of not to replace 1.4 unless very much dissatisfied with it wide open. I must shoot with 1.8 and compare it with 1.4. Not sure how much 1.4 will fetch me in a secondhand market. Does 50mm 1.8G also suffers from the focus shift? Appreciate if you can clarify. When you mention image come from the 1.4G is sharp, first thing that comes to my mind is that the problem might be because your lens is not calibrated with your camera. The reason I said that is because the depth of field of f/1.4 is so shallow that if the lens is not calibrated it would cause the image to look soft. Possuo a 50mm 1.8G e 85mm 1.8G ambas são perfeitas sempre que olho para a imagem que fiz falo para mim mesmo “OH MEU DEUS PARECE QUE ESTOU CLICANDO COM UMA 1.2! Siempre uso una abertura menos que la máxima, así con una expectativa razonable estoy bastante satisfecho con los resultados – y el aumento de profundidad de campo viene bien también – discúlpeme por responderle en español. The 35mm DX lens is not only excellent for crop sensors, but works brilliantly on FX, and sharpness is adequate even on the d800. Depending on the aperture you use, it actually covers the full frame, only with the extreme corners turning back (correctable in LR to some extent). Better still, you can use them in 5:4 crop mode that cuts out the black corners completely, and it still yields you a 30 megapixel image. 1.2 crop mode will yield you a 25 megapixel image. Here’s a best-case example shot at f/1.8 (ISO 1250) at an event – without cropping! Yes, i would love to read some more info on 35mm f1.8DX on FF, seems to be a combination of lens that people overlook. It’s worthy to look into since the 35mm f1.4 is outrageously priced. Brian, Molnarcs – thank you for reading! 35mm f/1.4 is not really outrageously priced – priced for professionals, which use it to earn money. Then, it makes sense. Although I do wish it were much cheaper, too. In any case, there’s the new Sigma 35mm f/1.4, which promises to be extraordinarily good – we will review it as soon as we can. As for the 35mm DX, yes, I know it can actually be used on FF with great results :) I could have included the old 35mm f/2D lens, too, but I’m hoping Nikon will update it soon. version. Unless there are some ‘pro’ features about the lens that I didn’t know about. When a prime lens is around 1800$ USD, I think it’s overpriced. If the 35 f1.4G is ‘priced for professionals’, then is the 99$ 50mm f1.8D priced for beginners? The lens is almost 10x the cost of the DX version, and certainly not 10x the performer. For DX shooters, it is a no brainer. Again, I wish it were cheaper, too. But I understand why it isn’t. Were I able to afford it easily, I’d likely go for the Nikkor instead of Sigma. Weather-sealing is an important aspect for me. But I can’t, and I will be very happy with that Sigma 35mm. There’s an alternative. So why complain? :) Leica lenses are much, much more expensive and offer less gadgetry. People buy them – those who can. Oh, and the Nikkor costs around $1600, not $1800, and that’s quite a big difference. A difference of a brand new 35mm f/1.8G DX, in fact…Uh-huh. I do wish it were cheaper. Thank you so much. Your previous article made me decide whether i should buy a prime or zoom. I’m going for one prime and one zoom. But over a period of time. This one cleared my mind for a prime. I’ll go for 50mm f1.8. Thanks for sharing. Thank you for your excellent article. I will be going to NY for vacation with my family. Which of these lenses should I purchase and bring alone. I have a Nikon d600. If I had a D600 and a budget for two lenses for such a trip, I’d grab a 28mm f/1.8 for street photography, especially during the night when the city comes to life in a completely new way. I would also bring a 24-120mm f/4 VR lens for anything else, it packs a great zoom range, is relatively small and light, has great optical quality (distortion is easy to fix in post) and VR. I would surely bring these two lenses. :) You don’t want more lenses, too – it’s a trip, after all, and a vacation. Why spend it carrying heavy equipment and swapping lenses? If that’s stretching your budget too much, I’d think about the 28mm f/1.8G and 85mm f/1.8 kit. Worst case scenario I’d pick one of these two – either the 28mm, or a 50mm f/1.8G as they are the most versatile of primes. If you have just bought a D800 or D600 body (no kit) I would suggest that something like the 24-120 or 24-70 would be the first lens. For a prime lens I would consider the 105mm macro as it would open up that area of photography. Thanks for the article. What do you think of the 105 micro, is it a replacement to the 85 1.8 ? It is one of the sharpest lenses ever made by Nikon and a perfect portrait lens besides the macro capability and VR. Hello, Biho. Thank you for reading! I would never see 105mm micro lens as a replacement for a fast prime for portraits, such as the 85mm f//1.8G. Firstly, sharpness is not the first priority when it comes to portraits. Secondly, it just doesn’t render portrait images as beautifully as a fast 85mm lens, mostly due to depth of field and bokeh. When focused even relatively close, that micro lens will not be even at f/2.8 due to simple physics. I’d take a fast aperture over VR for portraits any day. The 85 is also very, very sharp wide open and stopped down, and at least as capable as the micro. I have a Nikon D3200 and the kit 18-55mm. My first lens purchase was actually two lenses. I got the 35mm 1.8g and the 85mm 1.8g. My daughter also got a red Nikon D3200 (the red d3200 looks amazing by the way). My daughter is wanting a Macro lens and I did some research and discovered the 40mm 2.8g. When I came across people on the internet that said they owned both the 35mm and the 40mm they usually said they preferred the 40mm because it is sharper, has better bokeh, and it has macro capability. I swapped my 35mm for the 40mm and now having used both I would say that for some people the 40mm may be a better choice. The 40mm is noticeably sharper than the 35mm though not by much. Even the 40mm wide open at f2.8 is sharper than the 35mm at f2.8. Distortion on the 40mm is also less than the 35mm. I find that the bokeh is also considerably better on the 40mm. And though sometimes you have to get very close to the subject on Macro I still find it very useful and even fun for ultra closeups. So for low light I do not rule out getting the 35mm 1.8g at a later date but I am glad to have the 40mm first with a still respectable f2.8 vs. the kit lens. I really want to stick with FX lenses on future purchases but the 35mm and even the 40mm are so inexpensive that I would feel ok with both. So I would throw the 40mm 2.8g out there as another dx prime lens option for those who read this article to consider. Hello, Blake, thank you for your valuable input! In this article I discussed fast prime lenses, however – f/2.8 is only moderately wide. Romanas, Agree for a fast prime the 35mm f1.8g is best value. Anyone who gets it and learns to use it will love it especially compared to the dx kit lens. And by the way, I enjoyed reading this article. I will definately refer people to it who are new to Nikon DLSRs. Hi Romanas, I read your atricle with interest. I will be following your posts closely. What are ‘architecture’ lenses and why are they flat. What sort of brands are available? Btw I own a Nikon D5100 . Hi Romanas like your article. I own D800 and some zooms and primes, but looking for lens I can use in restaurant, or small place and its not heavy or big, but good performance in low light. What would you recommend? I was thinking about 28/1.8, 35/1.4, 24/1.4, or maybe new 24-85 zoom an use flash? I have 24-70 and it is big for camera flash and heavy too for hauling camera in restaurant or pub. I have 50mmm 1.4 but love to have any wider lens. Please let me know what do you think about it. I wouldn’t use a flash in a restaurant, it’s not exactly discreet. If I had to choose one lens, depending on the budget and how wide you want it to be, I’d go with the primes. Excellent article! Glad to see the fond words on the 35 1.8 lens, what an amazing value that lens is. I, too, recommend that lens to all photographers who are shooting in DX format. I also love the 28 1.8 and 85 1.8, both in terms of sharpness, bokeh and contrast are outstanding and I highly recommend. We primarily shoot weddings and predominately use the 28, 50, 85 1.8 G lenses for the entire day – they are that good. I’m using 35mm f1.8 dx with my d5100 and getting exceptional results with that combination. I think prime lenses help photographer to improving skills about composition, techniques, etc. It’s the most important side of them. By the way, your review is very clear how to choose primes for different purposes. Yep, you are absolutely right….shooting primes not only will give you better image quality but it will also make you a better photographer by forcing you to not be lazy and compose accurately by moving your feet! Virtually all of our wedding/engagement work on our website is done with the primes mentioned in article. Nasim your article is amazing! i already have 50 1.8 on my D7000.. was about to buy a zoom lense but i decided to buy a wide prime lense. What do you think of 28 1.8 for wedding photography? It is superb, Maria, if that’s the angle of view you need. Hello! I am planning to purchase a D600. What is the difference between Nikkor AF 50mm f/1.8D and Nikkor AF-S 50mm f/1.8G Lens? Will the AF 50mm f/1.8D be compatible with D600? Thanks! The f/1.8D will be compatible with D600. In essence, it’s the predecessor of the new and very good 50mm f/1.8G lens. As all older Nikkor lenses, it relies on an old-fashioned screw-drive AF motor, which is noisy but fast. The newer lens will support full-time manual focus, while the older one will not. The older lens is lighter, smaller and cheaper, too, but is not as good optically. Considering how cheap the new f/1.8G is, I’d buy it over the older lens. Thanks for the quick response Romanas. Buying a D600 will leave me with 1 lens to choose. So I am considering a 50mm f/1.8G as you suggested. Do you think that will be a good decision over a zoom lens? I shoot mostly people, group or portraiture. Sometimes landscapes. Thanks! That is a very good lens, Kath. But remember – it’s always a good idea to have at least one zoom lens in your kit. Some of Amazons re-sellers might. It’s a great deal . I have a D-type lenses only. I chose them because I thought the quality was superior to any zoom, besides being lightweight. Now I realize that the review of the Nikon D800 say that their quality is not as good as that of the type G. I really have to abstain from buying a D800 because of my glasses? Which one I should to go? buy a Nikon prime 24mm f1.4 or go to fullframe mirrorless sony RX1? It all depends on what you need, Saef. If you want portability and don’t care for viewfinders, Sony should be great. If you tend to carry your Nikon gear, that 24mm is astonishingly good. Just my personal thoughts on one of the primes I use. The Tamron 60mm F2 macro used on my D7000. I found this lens to be exceptional in both quality and performance although AF might not be as quick as it’s nikon counterpart but I do prefer it over my nikon 50mm 1.8d especially for portraits. Bokeh and sharpness are amazing and this is probably my favourite lens out of a collection of 9. Hi, being perfectly happy with 35DX on a D7000, I look for a 24mm equivalent DX-lens. Anyone having a suggestion? So, I can’t decide. I currently have the 50mm f1.8. Should I get the 28mm or the 85mm? Any suggestions anyone? Also, I am going to get a zoom soon. Any suggestions on a relatively fast zoom? after the 50g i realised i need to go wider so i bought the 28g. They had the 85 1,8g so i bought that one too. 2weeks later i sold the fifty and never look back. Now changing lensea in a river boat speeding with 40mph is not such a joy but t he primes are less bulkier cheaper and sometimes they exceed the IQ of the best zooms. But this is an opinion of somebody who used a manual 40mm for a whole year. So i might be wrong. 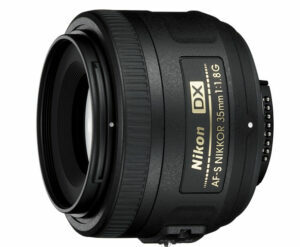 Hi Romanas, is the Nikkor AF-S 35mm f/1.8G DX Lens compatable with my Nikon D5100? Yes, David, that would be a great duo. Brilliant! Thanks Romanas. Have a great Xmas. That was an amazing article. Very informative. My question is i own a Nikon D5100 with the Nikkor AF-S 35mm f/1.8G. I love taking night shots of cities and architecture in general and sometimes some lanscape pic. What Lens would be a suitable companion to the Nikkor AF-S 35mm f/1.8G? Do you know when the Nikon 50mm 1.8G will be available again. It has been back ordered for quite some time. I will be taking a Hot Air Balloon ride in Albuquerque, in late January. I shoot with Nikon D60. I have 35mm f1.8 DX , 18-105 f3.5-5.6 VR and 55-200 f3.5-5.6 VR lenses. Which lens would you recommend to use on the ride? Oh, and the ride will be in the morning. I like prime lenses a lot, specially 50mm 1.8G and 85mm 1.8g both are great as Nasim has written in his review. Thanks to Nasim and Romanas for this wonderful article. I havent used 28mm 1.8g, may be i will try it in future. I am buying a Nikon D5200 body. I was thinking of buying a 10-24mm lens and a 55-200mm lens. Should I really worry about missing the 35, 45mm ranges ? Is there something special I can do on that specific ranges? Plus: If I need to do a dim light photograhy, will these lenses help? Thanks a lot. Can any of the other lenses I mentioned be used in dim lights? With much difficulty, Tiju. Their apertures are just too narrow for any serious low-light photography. I found that the 50mm 1.4 was quite considerably off on my new D600. I was suprised, as it was my first venture into a full frame body that actually had focus fine tuning in it. Kept finding the images were soft and then delved in and made the changes so it’s really great now, even wide open. I just found it surprising it could be that far out on default settings. Makes me wonder how far it could’ve been off on my D90!! Both camera and lens are calibrated for accuracy, and either one can be off. So if the camera is at, say, -5, and the lens is at +5, the focus will be spot on. If the camera is at a relatively decent -6, and the lens, too, at a decent -6, together they make for -12, which is way off. A very simple explanation, but more or less accurate, I think. In other words, your D90 may have been spot on. Ah ok, that makes sense. I haven’t even tried my 28-70 on the d600 yet, so I’ll have to see if that needs fine tuning too. Now that did always feel just a little soft on the D90, but without AF fine tuning there was no way to make it better bar sending it all off to Nikon on my expense. So it’ll be interesting to see on the D600. Thank you for your awesome reviews!!! I just recently purchased the 50mm 1.8g on ebAy for my d3100. I have read a lot of reviews where photogs leave this lens on their cameras for all types of occasions. However, I tried taking a few shots of my teenager and 3 of her friends posing during a birthday party, and most of the shots were out of focus and blurry. I am a beginner and I just wonder if this lens needs calibrating or I just need to learn more about focusing and shooting with this lens as I have only ever used a kit 18-55. Hi there,I have been following your posts for a long time and I love all your reviews. I currently own a nikon 24-70, but somehow or rather, I fall in love with the 35 1.4g recently,because of its bokeh and the ability to shoot at 1.4 and still get sharp images. I have limited budget and don’t think I’ll able to buy another lens, that’s why I’m thinking of selling the 24-70 and get the 35. Do u think this is a stupid move? I shoot a lot of portrait stuffs, and mainly children’s, a bit of food photography, some family stuffs. I currently using D700. I own another 2 lenses, 50 1.4d, and 85 1.8G. Will the 35 survive through all the things that I’ll be shooting? My advice would be to wait a little longer. Nasim is working on the Sigma 35mm f/1.4 review. From what he told me so far, it rocks and gives brand lenses a run for their money. Perhaps you’ll be able to fit it into your budget? It is considerably cheaper. Personally, I would not feel safe without a standard zoom lens. Your prime collection is indeed great – they are all fast, quality lenses. Were I in your situation, I would buy the 35 f/1.4 either Nikkor or Sigma (I love that focal length, it’s just so versatile), and possibly sell 24-70 f/2.8 and purchase 24-120 f/4 VR in its place. The 24-70 f/2.8 is a swell lens, but with all the fast primes I’m not sure it would be all that useful to me, I’d rather have something lighter and with a larger zoom range for casual photography. Don’t take my word for it, though. It’s just what I’d do – doesn’t necessarily mean it’s what will suit you best. Dear Romanas, wow, thx for your prompt reply! I have made up my mind now. No more hesitation! Primes all the way!! Thank you sooo much for your input . Personally, i would go with the Tamron. Those lenses that come in the box with your camera are basically kit lenses and normally don’t (not for me at least) deliever very decent result in terms of sharpness and bokeh. You may also consider the Nikon 35 f1.8G, which will work perfectly with your D5100. I used to shoot a D3100 coupled with the 35 f1.8G for one whole year without without taking it down. No mention of a Macro-capable prime lens? Was it outside the scope of the article perhaps? I have just bought a Tamron 90mm for my D600. A nice portrait lens and a useful macro too. I have a question regarding 85mm 1.8G. Currently I own a 70-300mm VR and I use it for portraits (I shoot portraits outdoors only with the focal lengths in the range 150-200mm) and its bokeh is very good. Is there any thing special that I gain from 85mm? The advantages of prime over zoom are: cost, size, aperture, depth-of-field and bokeh. As explained above. Arun, you will have a chance to enjoy a much smaller package with much broader depth-of-field capabilities, as well as better bokeh. It is also likely to be sharper. Irina, a 50mm and an 85mm are my go-to lenses. I would replace the 50 with 35,though, as it’s even more versatile for those environmental portraits and pj work. I would keep the 50mm as a backup. In case of some sort of emergency, I can shoot a whole wedding with just that one lens on a full-frame body. I use the 85mm when I do either close up portraits, full-body portraits for more background separation or Brenizer panoramas. Some sort of a zoom – like the 24-70 or 24-120 – is also a great idea at some point for those occasions when you need a wider angle of view or whatnot. Or instead, you may also consider a 16-35 for that eventually if you prefer an even wider angle of view. A macro comes more than useful, too. With the four lenses – 35mm f/1.4, 85mm f/1.4, a macro and either the 24-120 f/4 VR or 16-35 f/4 VR – I’d be good for basically any situation, but then, that’s only relevant for my style of shooting. Your preference may be different, of course. I think all discussions about prime lenses v. zoom lenses for the average photographer is a thing of the past, or for people with serious OCD problems or lens-lust issues. Zoom lenses today are so damn good, I defy any one to show me a meaningful difference (I chose the word meaningful very carefully) between the prints from a 50mm prime vs. a 50mm setting on a 24-120mm. Oh, yes. About the argument of primes having a larger f-stop than zooms…kick up the ISO on the zoom to compensate. When will this inane issue ever stop being covered? My advice to the rational: get a few zoom lenses that cover the ranges between 17-300 and then stop buying lenses, especially the primadonna primes. I’m not quite there with you, Peter. Prime lenses are still ahead in optical terms, but you are quite right in saying zooms are now surely good enough. Optical properties and millimeters don’t tell the whole story, however. There’s the question of size, weight, price, as well as light gathering (I sometimes find myself shooting at f/1.4 and ISO 6400, you want to give me an f/4 zoom? Do the maths. And, no, I’m not going to spend even more money on expensive and cumbersome lighting equipment and ruin the, to my taste, better available light, however little of it). There’s also the ever-important question of depth-of-field control. So, no. Zooms have their strengths, they also have their weaknesses. To each his own, Peter. I’ve tried both, prefer primes. You prefer zoom. There will be plenty of people to chose both or either one, and none will be better or worse than the other for it. I agree, but for the average photographer (if anyone will admit to being one), zoom is the most pragmatic and cost-effective way to go. I shoot mainly for newspapers, websites, and color brochures. Don’t do any more printing…junked my printer… sick of dried-up ink color cartridges $$$$$$. Zoom, for me, makes all the sense in the world. You shoot at f1.4 at ISO 6400? Are you in a closet with the lights out? That example is 3 (maybe 4) standard deviations beyond the mean! Lastly, how many people do you think know what OCD means? I have met many photographers that have this problem. Takes all the fun of photography away. I have know, personally, photographers that are obsessed with technical perfection to the point that they don’t see the art. If they had a better lens things would be different! They look for the slightest imperfection in prints. They buy the latest and greatest photo equipment because it will help them make the perfect photo. They become fixated on the equipment rather than the art. They trade in an f1.8 lens because they feel the f1.4 will give them the edge on perfection. Oh, I see. I’ve written quite a few articles on the topic. Truth is, Peter, f/1.8 primes, at least in Nikon camp, are now generally better than their more expensive and faster siblings . I don’t use prime lenses for their sharpness. I use them for artistic reasons. Aesthetics. Size and weight. Discretion. Simplicity. I’m new to photography and I’m extremely pleased to have stumbled upon this website! I’ve learned so much in just the few articles I’ve read thus far; thanks! I have a question: I currently own a Nikon D5100 with the kit lens and recently purchased a 55-200mm VR for better zooming. However, I’m wondering if there’s a better lens for taking good quality photos of my kids at indoor family gatherings/birthday parties/school events, etc. I’m still learning, so I do use the auto setting frequently and my budget is relatively small. Which of the above lens would you suggest? And thanks in advance for any advice! I am about to buy a d5100 with the 18-55vr kit lens. Have a question for everyone. I live in an area where there are a lot of theme parks. So I want a lens that will take great photos in the park during the day/night and also a lens for indoor shooting as well for different attractions with high and low light levels. I can buy up to two lens. I’d love some information on what additional lens I should buy. Thank you!!! I’ll be heading to Morocco in October for a two-weeks photo tour and I have a few questions regarding lenses to bring. I currently have a Nikon D7100, a Nikon AF-S DX Nikkor 18-200mm f/3.5-5.6G ED VR II, a Nikon AF-S DX Nikkor 35mm f/1.8G, a Tokina AT-X Pro 11-16mm f/2.8 DX and a SB-700 flash. I’m currently considering selling the 18-200 since I’m starting to see its flaws on the D7100 (drop in image quality, etc.). Since I’ll mostly be shooting landscape, people and typical travel photography, which lens or lenses would you suggest me to bring along considering the dusty environment? Thank you very much for the articule. Very clear and very informative. Just read your article and was happy to see your comments about the Nikon 50mm 1.4G lens you keep mounted on your Nikon D700 camera. I’m 70 years old and have been an amateur photographer since I got my first Kodak camera almost 60 years ago. I purchased a D700 camera when they first came out and finally settled on a 50mm 1.4G lens to go with it. Most of my pictures revolve around people (family, friends) and places (vacations, historical sites). The pictures I get with my D700/50mm 1.4G combo are the best I have ever taken. I love this combination so much that I purchased a back-up D700 just before they were discontinued and mounted a second 50mm 1.4G lens on it. I’m not suggesting this is an all-purpose combination that works for all types of photography but I can certainly say it’s an outstanding combination for the type of shooting I do. Family pictures have never looked so good. Thank you Romanas for this awesome information! I have read many articles on this subject. This one is the best! I am confused a little because I have been trying to decide between the 35 mm 1.8G or the 50 mm 1.8G for my newly purchased D5200. It came with the 18 to 55 mm and the 55 to 300. I am most interested in shooting people and dog portraits, as well as the pups running around the yard. I also shoot many photos at dog shows and love vacation beach shots! I have taken a couple of classes and read and read articles but just when I decide the 50mm would be best, I read something that makes me lean toward the 35mm. The price of each is so close that doesn’t help. So…if I am reading that the 35 mm is more versatile in multiple situations, but the 50mm produces better portraits and bokeh……which one should I choose? Can only afford 1 right now! If you plan to shoot more indoors in tighter spaces than out, 35mm is the better choise as with the 50mm you’ll find yourself backing up against a wall more often. It’s not good for close-up portraits, however, as it will distort your subject. Thank you for the quick reply! I think I will stick to my first choice then, the 50mm and make do with one of the kit lenses for tighter space. You got me with the word distort! I love good close up doggy shots! Great articles all around, especially this one. Have been blessed with D7100, mint used Nikon AF-S 17-55 f/2.8, and Nikon AF f/2.8 80-200. Typical shooter, some family, wildlife, events like graduations and weddings and mountain scenery – but am not a pro. Like the entire list of primes, have only the two zooms – could you help prioritize my prime purchases, which may be one at a time…? Thanks!!!!! I have a nikon d3200 with the 18-55mm lens kit that came with it. I would like to do macro or micro photography with this camera. Is there a good lens out there that I could buy to do this with? I would like to do insect and few flowers type of macro photography. Please advise. In addition, I have been using my iphone with the olloclip for my macro, but I want a lens for my camera. Some of the insects are very happy with their picture being taken extremely close up. Nikon makes a few macro lenses. For DX cameras the 60mm f2.8 would be a good choice, but they also have a new 40mm f2.8 as a good complement. Reasonably priced. The standard macro is the 105mm f2.8 which is excellent and tack sharp. With a crop-sensor it would be 150mm so it is longer in its reach, but if you decided to move to a FX body it would follow you nicely. Thank you for the information! I know which lense do get thanks! I have a Nikon d3200. Not the greatest, not the worst camera. I am looking for a Nikon macro lens. I shoot insects, flowers, and pets. I don’t want to be close to the insects, since I usually shoot bees, wasps or other easily angered insects. Does anyone have any suggestions? I read the above postings, but I just don’t know. I have treated myself with a nikdonD3200 and i am still trying to come to grips with it and your article has definitely helped me, it has come with a standard 18-55 mm VR Zoom Lens, i dont want to spend too much without coming to terms with what i have got so need to know if there is a better lens that i should be looking at or is this good enough, the purpose is to tkae potraits and family photographs mainly outdoors. Also i havent got a flash gun s is it worth taking small steps and understand it rather than going for flashy big lens. At this point i am bvery happy with my photos and i can see a huge improvement from a digital camera that i have used in the past and would want to take it a step further. Please help. I can recommend prime lenses to anyone who is on low budget. Of course there are some limitations of range, but apart from that, the pictures are great. And I’m sure that some of the pics I took yesterday in low light wouldn’t have come out well with 2.8 aperture. My last DSLR, until I gave up photography for a few years, was a Finepix S3Pro – a great camera in it’s day, and back then I had the familiar set of constant f2.8 zooms. So having got the bug again and bought a D600 this article/website has been absolutely invaluable and purely based on it I’ve gone down the prime road this time. The whole set of 3 x f1.8’s only weigh 65g more than the single, and somewhat questionable, 28-300VR lens that I bought to start with! The image quality of the D600 means that I can easily crop in post processing to alter focal length if I need to given the better sharpness and overall image quality of primes v zooms and, whilst I appreciate that the pro level zooms offer almost the same image quality, I’d rather have a third of the weight and one and a third extra stops dangling off the body than nearly a kilo of one zoom!! I don’t care that they’re plastic and made in China, I would imagine that the machines and factory production line would look identical to the Japanese factory, and anyway the D600 body is made in Thailand (better drugs there than China for sure!!). It’s just that Nikon can pay the Chinese workforce less (where is your iMac/MacBook and iPhone made?) and so long as they perform optically is all that matters. So again I must thank you for being one of the most informative and interesting photography websites. I have read the article and being a beginner in photography i have found it really useful but still i am having few doubts.I have prepared my mind that my first DSLR will be Nikon D3200 as i have read alot at photographylife and i have found all the info very useful.I would learn the things and it’s a step by step process.With my Nikon D3200 i will be doing all sort of photography so as to understand and get the feel of my gear.For me as a beginner which lens you will prefer me to buy first because i have to keep my budget in my mind and i want to buy a lens which i can use in future also like if i say i go for Nikon D800.I want to invest in a good way and want to be a smart buyer.Your suggestion will count a lot for me.Hope you will revert back soon. What sort of photography do you intend to do first? In other words, what are your top most priorities? For example, do you need a lens that is small and light, is zoom important to you, will you be shooting primarily outdoors or indoors? Really like the article, very informative and easy to understand for a beginner like me. I am looking for some advice though, still not quite sure which to get. I have a Nikon D3100 with the 18-55mm kit lens and a 70-200mm lens as well. My friend recommeneded I get a prime lens when I her I really liked the bokeh she got on her photos. I am not too sure what to get as I am on a budget and I would like to find something that will be suitable. I want to use the lens for skiing, landscape and portrait photography. is there something that i can use indoors and outdoors but more for outdoors? Hope you will reply soon! Rachel, I you could take a look at the 50mm f/1.8G or the 85mm f/1.8G. Both are not expensive. The latter is more suitable for portrait photography outdoors and will give plenty of beautiful background blur. However, the 70-200mm lens you have is also capable of producing nicely blurred backgrounds, and it is a great lens for outdoors. For indoors, you need something wider. I would suggest you try something like the 35mm f/1.8G lens. Mind you, it will not work well with full-frame cameras like the D600 if you ever plan on purchasing one. Nice article. I own a coulpe of these and the 28 1,G really rocks on FX. Anyway, I think an article like this should come with a little warning: buying fast lenses like these makes it very easy to fall into the trap mainly making background blur and bokeh instead of making picuters. Be careful! for APS-C, you might want to take a look at the 35mm f/1.8G. It is the first lens described in this article :) If you plan to go full-frame someday, the 28mm f/1.8G is also an option, alas a more expensive one. Then there is also the Sigma 35mm f/1.4 that we loved so much and it will also work on FF should you ever upgrade. I have a new 3200. the AF lenses that come with it work. I had previously purchased an AF VR- NIKKOR 80-400mm 1:4.5-5.6D lens and an AF NIKKOR 28-85 mm 1:3.5-4.5 lens. These two lenses do not work on my new 3200 but they do work on my old D70S. I am not a professional photographer, I work in a NGO. I take photos of our work and projects to raise sponsorship for drug recovery and prevention at our ranch in Brazil. Rappelling and climbing photos from a distance Etc. I understand (have been told) some cameras have the AF motor in the body and others depend on the lens motor to focus. Can you please enlighten me on my situation. What is the best camera for me to buy if the 3200 will not focus the lenses that I already have? As far as I know, D3200 doesn’t have built-in AF motor in its body. Nikon cameras without built in AF motor are D3xxx and D5xxx. So if your old lenses don’t have AF motor on itself then it won’t work on D3200. The reason why they can work on D70S because D70S has built in AF motor. Now you can buy AF-S and AF-I lenses to match with your D3200. Or if you want to keep your old lenses, mid-level body such as D7000, D7100 and greater should have built in AF motor. I hope you can decide which one’s the better option. Got the D7100 is working fine. Hello! I have the Nikon D3200. We purchased it because we thought it would be better than our old Cannon rebel. I used the D3200 in a small wedding a friend asked me to shoot. I wasn’t going to do it but she insisted and was well aware that I was not by any means a professional photographer. Since then, I have been getting family members of hers asking me to shoot their engagement and wedding photos. I know I can pose people and make it look good, but I want to learn more and start to become a much better photographer. For the wedding I used the AF-S 50mm f1.8G–The bride was happy with the shots I got but was wondering now what would be the best lens and equipment for an outdoor wedding on a golf course? I was just going to rent the 50mm again but not sure at 3pm with direct sunlight how that would work. The bride wants all the standard wedding shots but also some fun, intimate shots…what do you suggest? I have read so much that says I shouldn’t attempt weddings without proper knowledge but I am here to learn and hopefully I can give the couple a great shoot on their wedding. So please no harsh criticism…even if it seems like I need it! Thanks!! I am a wedding photographer and now, am moving in to purchase a Nikon D610. Which would be the best prime lens to buy? My research says the 50mm 1.8G, but any other thoughts on this Romanas? 50mm 1.4G is my cheapest lens. But it doesn’t stop it from being my favorite (along with 14-24mm 2.8). I recently switched to ff body and it just became a monster of a lens. Anyone who starts with photography (with Nikon DX) could as well start with 50mm 1.4 or 1.8 (Sigma or Nikon) IMO. I’m planning to buy new prime lens for my nikon D52oo .Even after reading a lot in online, still confused whether to buy 35mm 1.8g or 50mm 1.8g.. Currently working with 18-140 zoom lens.. Main purpose of prime will be child portraits..Could you tell me which lens to choose? For portraits go with the 50. Both would be good lenses but a 50 is a bit more traditional for portraits. Love the explanations on the prime lens. I am fairly new to getting into photography & had purchased the D3200 based on the recommendation from the salesman at the local camera store for the exact same reason you indicated in your previous article for beginners. I have since found myself purchasing the prime 35mm but really didn’t know why only because my new camera friends told me to get one. After reading your article on prime lens’s I know have an understanding to the reasoning & plan to step up my game on using it.. Thanks!!! Ps you are a great teacher!!! Hi, for a beginner would going with a camera like D3200 with 85mm f1.8g be a better combo then to go with D5200 with 18-55mm kit lens? for a beginner, an 85mm lens, especially on a crop-sensor camera, is not what I’d call versatile. It is a great lens, but I am not sure it is exactly the right purchase as the first and only lens, unless you can get a second-hand 18-55mm kit zoom, too. Rizwan, there is nothing wrong with a prime lens. It’s just that on a crop sensor camera 85mm is quite a lot and not really suitable for that many applications. It is a somewhat specialized lens. Perhaps starting with a more versatile focal length is a better idea. I would actually suggest you stick with the D3200, but pick a more versatile prime lens :) Which one? Well, that is what this article is about! Hi just wanted to share my experinece, after researching here i went with D3200 with 35mm 1.8g, and i don’t regret, it was hood choice so thx a lot roman for ur suggestion. Only thing i wish it was little more wider like 24mm maybe but since i have DX guess i’d have to live with it for now but thanks a lot. Hello!I want to buy a lens for my Nikon D5100 , i have a very limited balance, Can you please recommend me some lens accordingly. Hi. I just got a D5100 a few weeks back and feel like graduating to a prime lens now. I mostly like shooting candid portraits and urban landscapes and also some street. What would you suggest? 35mm or 50mm? I have a D3200. my lenses are 18-55mm kit lens and 35mm f1.8g. I want to buy another lens just for portraits. Should I go for a 50mm f/1.8g or 85mm f/1.8g ? If you are shooting planned portraits where taking your time setting shots up is more flexible, go for the 85mm. If you plan to shoot on the go (say street photography) and you don’t have the leisure of moving back to frame a shot nicely, go for the 50mm. that’s just my opinion anyways. P.s keep in mind that your 35mm isnt very far off the 50mm. Great article! I just bought the 35mm f1.8g as my first prime lens, for a D5300 with the 18-55mm kit lens, and a 55-300mm zoom also. As for macro photography, do you have any thoughts using a reverse ring? I want the 36 megapixel quality of the Nikon D810, but I’m not sure if these primes would do all those megapixels justice. Obviously I wouldn’t want to buy a camera body as high quality as the D810’s and then have a lens that can’t keep up with the body’s performance. I want the affordability, practicality and portability of a prime but I’m still not certain as to whether or not a prime is the right lens for the D810. Any insight into my issue would be very much appreciated. Thanks! Hi I’ve decided to buy the Nikon D3200, I’m hoping the 35mmf/ 1.8g would be best for what iam doing. I go around to different car shows and meet up’s. I m going to be taking pics of cars, in the summer time, mostly outside…Would that lens be a great fit for me? Iam entry level / Begnnier to the photography life. Your knowledge has been very helpful these past two days! I am buying my first camera ever. Will go with Nikon 5200, which is the best primer, indoor/outdoor lens for a beginner like myself? I really don’t like the g series lens.. I prefer the smaller, better build and more classic optical characteristics of the d series after much trial and error buying and selling lenses. less contrasty, less saturation, aperture ring for video. They are slightly heavier but people in streets cant see weight, but def see a longer lens poking out. They also dont have an afs motor that can go bad. I shoot with the 24 2.8 35 f2 50 1.4 85 1.8 for street, landscapes, portraits on fx. I really like the 24 and 85 perspectives. I am ambiguous about the 35 or 50…they are interchangeable and just grab whichever depending on what I think I will be shooting. Different and cheap enough to have both. I am planning to buy a D3400 or D3300. I have not in mind the 18-55 mm lens that they commonly come with because of so many negative remarks I have been reading across the articles and reviews. I will buy the camera with a zoom lens (not a fixed focal length) and I can afford only one currently. I am keenly interested in every kind of photography, Portrait, indoor, outdoor, low light and most importantly bokeh and long exposure photography.. Please suggest which zoom lens should I consider for this? I brought Nikon D60 along with 18-55 lens way back in 2008. Recently, I brought the camera body Nikon D-5200 but using the old lens. Could you please tell me if I need to upgrade my lens? If so which lens I should buy? Hi, I just wanted to say this was an awesome article. I was really struggling with which lens would work best for me and after reading your article I was able to narrow it down to the 35. I have the Nikon d7100 and primarily take photos of family/children. I already have the 50, but was looking for something a little wider. Thanks! Gostei muito do seu artigo. I have a Nikon D7100 and two lenses: the Nikkor 18-140 mm g (Lens Kit) and the Nikkor 35 mm DX g. For half-body portraits or gourds and shoulders what will be the most suitable lens: a Nikkor 50 mm g or a Nikkor 85 mm g? Thank you for your attention. Great read and very in-depth but forgive me for asking my next question. I have read through ALL of the comments and still a tad confused. I am due to go to Finnish Lapland in search of the Aurora Borealis, and wondered what is the best lens for capturing these wonderful dancing night lights. I am happy to invest in a prime lens, one that I can use to capture the lights and also use for capturing star trails when I learn how to use the camera confidently. Please may I ask what lens you recommend and a link to the lens if possible (UK based). To capture landscpae at night, long exposure photography is what you need to look at. Any wide angle lens with long exposure set at F8 should be fine. Now in your case the challenge is nordic lights which might occur for a very short time, this is when you might need high ISO power of your camera and im afraid D3200 has reasonable entry level low noise at high ISO.